Hacktivism, commercial malware and criminal exploitation have become the norm in today’s cyberspace. This worrying trend has magnified the need for a comprehensive testing solution that can be integrated into the SDLC. Enter Source Code Analysis (SCA). There are different ways to secure applications and websites. Penetration (Pen) Testing and other DAST (Dynamic Application Security Testing) methods are effective ways to find vulnerabilities. But SCA is the most customizable and user-friendly method in the market today. It comes as no surprise that Gartner’s 2011 Magic Quadrant for Static Application Security Testing (SAST) states that, “SAST should be considered a mandatory requirement for all IT organizations that develop or procure applications”. Here are the 5 main advantages. Unlike SCA, Pen Testing can be performed only on finished products. 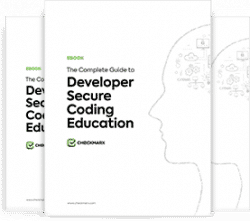 The Checkmarx security solution directly scans Source Code, which enables quick detection of vulnerabilities very early in the development process. The late timing of Pen Testing means longer and costlier fixing processes. SCA is compatible with a wide range of coding languages, frameworks and environments. There are a wide range of products that can be customized and integrated into any development environment. Users can also define various parameters such as scanning frequency and error thresholds to create the optimal solution. Pen Testing professionals simulate attacks and often expose vulnerabilities, but this process has its limitations. They work with a database of known exploits and have finite hacking skills compared to seasoned cyber-criminals, which makes it tough to cover all bases. On the other hand, SCA locates vulnerabilities simply and efficiently. Static Application Security Testing (SAST) products are out-of-the-box solutions. Implementing SCA tools is very easy and the reports provide a complete picture. For example, the Checkmarx’s CxSuite gives a multi-view report that pin-points the vulnerabilities and graphically suggests how to fix the problems in minimal time. The easy and quick detection of flaws and vulnerabilities enables safer developing environments. This convenient element of SCA essentially eliminates the need to hire security-aware professionals. Also, Static Code Analysis can serve as an effective QA tool for complex and complicated coded scripts, fully integrated with testing tools and software. Hack-proof software doesn’t really exist, but SCA definitely makes applications and websites safer. This is achieved without taking away too many resources and saving lots of valuable time. Other testing methods have their advantages too, but SCA is by far the most reliable and comprehensive way to truly fight hacking.